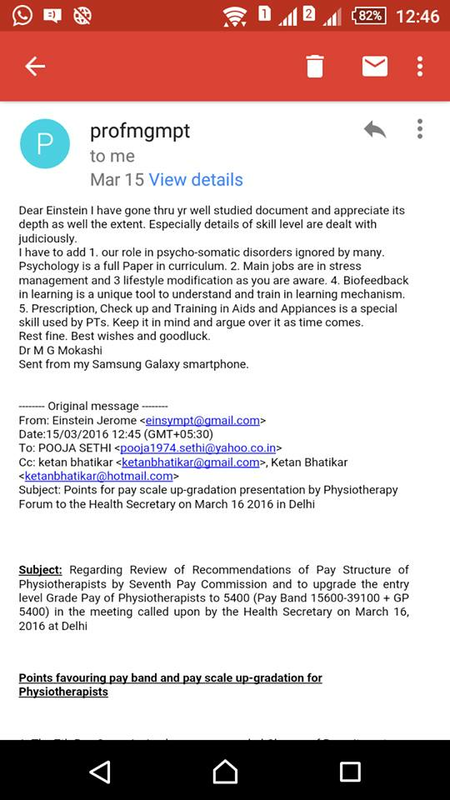 Dr.MG.Mokashi Sir, the Pioneer Physiotherapist who always worked for the profession. Sharing his last mail to me with valuable points about Professional up gradation. “God's Law of Cause and Effect: Your rewards in life will always be equal to the amount and quality of service rendered, in the long run.” Tribute and Respect to you always. Will keep this as a Souvenir.